Jalmari Helander’s Rare Exports (2010) began as a couple of shorts (2003 and 2005) which were a success on the Internet. In the form of industrial training films, they depicted the hunting, taming, and training of wild Santa Clauses in Northern Finland. These are strong, rather vicious creatures which end up being marketed around the world for the holiday season. The shorts were clever, funny, and technically very polished. Which is why the feature expansion of the concept is a bit of a disappointment. In going for the greater length, Helander has actually ditched the mythology he established in the shorts and come up with a different storyline. The Santas of the shorts are now merely vicious elves, with the big guy himself literally “big”. A mining operation just across the Russian border digs into a hill and discovers the monstrous demon Santa which was buried there ages ago, encased in ice. A young Finnish boy, given to reading fairy tales, is the only one to realize what’s going on; with the awakening of Santa, his elves have been unleashed to wreak havoc (slaughtering the local reindeer herd, kidnapping neighbourhood children), but far worse will happen once Santa is free of his ice prison. Rather disappointingly, Santa never does get free – in fact, we don’t even get a good look at him. Perhaps it was commercial concerns which made Helander rein in the clever nastiness of the shorts and turn the feature into a kids’ Christmas movie, albeit with a few dark edges, but whatever the reasons, in the end Rare Exports leaves the viewer with a vague sense of unfulfilled promise. 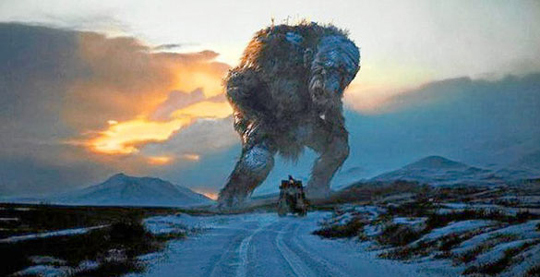 A similar but more successful movie is Andre Ovredal’s Trollhunter (2010) from Norway. This “found footage” film is also rooted in the idea that fairytales are real, in this case giving us a remote area of Norway where various species of trolls, normally kept isolated and living in secret, are beginning to impinge on inhabited areas. A group of film students become aware of a solitary man who turns out to be the government’s secret but official trollhunter, whose job it is to keep the population under control. The mix of horror and humour is well-balanced, the imaginatively designed trolls flawlessly blending into the rough-edged hand-held photography. 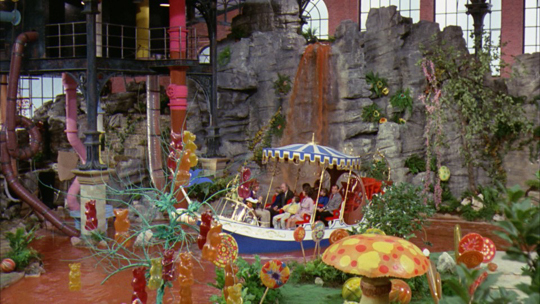 Somehow, I’d never managed to get around to seeing Mel Stuart’s Willy Wonka and the Chocolate Factory (1971) until the recent 40th anniversary Blu-ray came out. Working from a script by Roald Dahl, with mostly mediocre songs by Anthony Newley and Leslie Bricusse, Stuart manages to make the film both colourful and cheap-looking. Young Charlie lives with his poor Mum and two sets of grandparents who never get out of their one big bed. When the reclusive Willy Wonka announces that he’s having a contest in which he’s hidden five golden tickets in candy bars, which will allow five lucky children to get a free tour of his fortified candy factory, Charlie is desperate to win. But he’s up against a typical collection of Dahl’s monstrous kids and obnoxious adults, rich enough to buy truckloads of candy, while he can only afford a single bar. Naturally, after much disappointment, Charlie does win a ticket and he goes along with his grandfather and the four other kids on the appointed day, to be greeted at the gate by the cheerful and eccentric Willy Wonka (Gene Wilder giving one of his best performances). As the tour proceeds, and the greedy kids are disposed of one by one, we get to see what has to be one of the most garishly coloured and shabbily constructed collections of sets ever to show up in a major motion picture. It all appears to be cobbled together from cardboard and plastic bags and then dipped in vats of thick, primary-coloured paint. This dreamscape, intended to appeal to a child’s sweet-tooth, is more likely to produce a feeling of queasiness. And yet Wilder’s energy and the engaging performances of the kids keep it entertaining right to the surprisingly (for Dahl) sentimental ending. 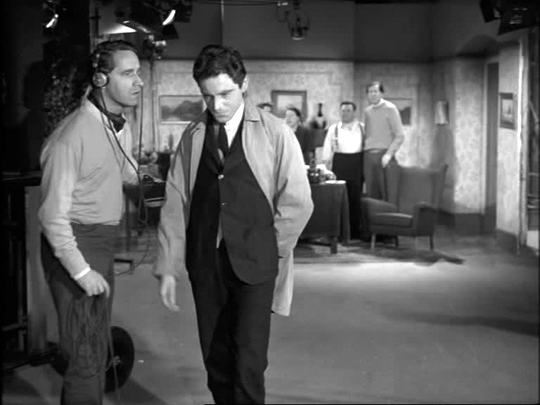 Gurney Slade is unusual for its time in a number of ways, the first being that initial self-consciousness about the tedious artificiality of the routine sit-com; the second that it was shot on film, giving it a richer tone than taped shows. 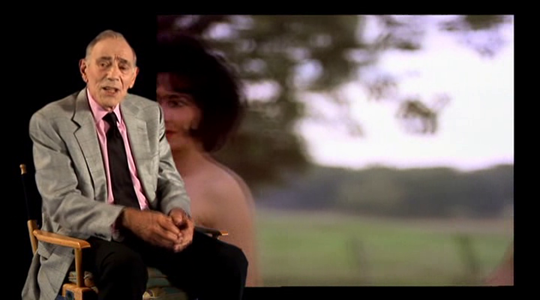 But mostly, what distinguishes the show is the absurdist, almost surrealist content, with Gurney wandering about in the “real world”, carrying on a continuous inner monologue in which he comments on everything he sees and tries to dissect the psychological underpinnings of various social situations, occasionally having conversations with inanimate objects. There’s more than a touch of Harold Pinter and Monty Python in the show, and in one of the later episodes, during which Gurney is put on trial for not being funny, a striking forerunner of the final two episodes of Patrick McGoohan’s masterpiece, The Prisoner (1967). It has to be said that stretches of the show aren’t actually very funny, but the tone is consistantly strange and interesting, and it’s always visually engaging. Far more enjoyable, and more disturbing, than anything H.G. 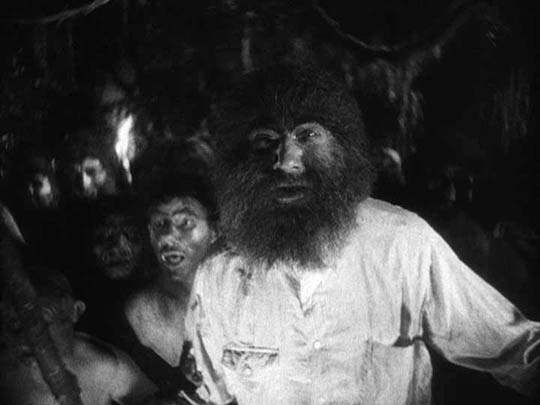 Lewis ever came up with is Erle C. Kenton’s remarkable pre-code horror movie, Island of Lost Souls (1932), finally given its due in an excellent edition from Criterion. 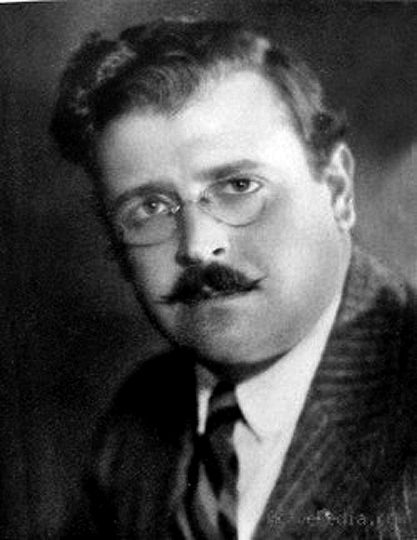 Of all the great ’30s horror films, this one has been the least accessible for decades – apparently partly due to the fact that the negative was lost long ago and most of the remaining prints are incomplete, having been chopped up by various local censor boards and played almost to the point of disintegration. Criterion has pieced this new release together from multiple 35mm and 16mm sources, to create as nearly complete a version as possible, and although the results show signs of all that wear and tear, the images are richly detailed and the film’s peculiar atmosphere comes through strongly. Based on H.G. Wells’ satirical horror novel The Island of Dr. Moreau (and disliked intensely by Wells), Island of Lost Souls centres on the disturbing experiments of the discredited Moreau, living in exile on a remote, uncharted Pacific island. Driven from England because of his vivisectionist activities, he is determined to speed up evolution by surgically altering animals to push them towards what he sees as their natural destiny – to become human. The novel’s satirical edge disappears in the film’s focus on horror, but the theme of man’s arrogance (we’re the pinnacle of creation and everything tends towards achieving our form) and the underlying fear that if things change through evolution they can perhaps also change through de-evolution, with the human form at risk of sliding back towards the animal, is what gives disturbing substance to the film’s nightmarish imagery. Director Erle C. Kenton had a prolific career from 1916 (starting with the Keystone Kops and other comedies) to 1960, working in most genres (crime, adventure, comedy), but there’s nothing else in his filmography like Island of Lost Souls (though he did do a couple of the later, sillier Universal monster movies – House of Frankenstein , House of Dracula ). There’s a feverish, unwholesome atmosphere to Island of Lost Souls rooted in the beautifully designed, oppressive sets, but anchored by Charles Laughton’s wonderfully perverse performance as Moreau, a gleefully child-like sadist who imbues his “research” with a disturbing note of perverse sexuality. This film is not a cheap quickie, but a classy production with excellent technical values and a strong cast, the many impressive beast-man make-ups suggesting more the reversion of human-to-animal rather than the raising of animal to human. 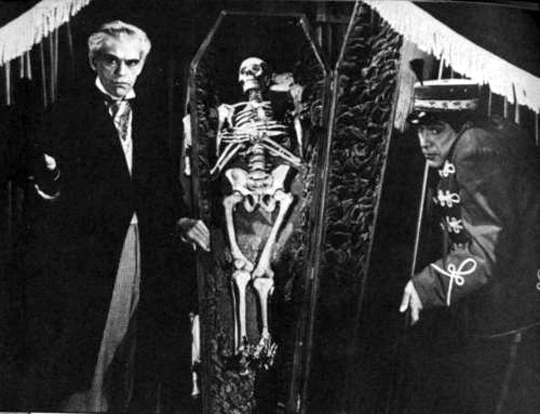 This entry was posted in Review and tagged Actors, Anthony Newley, British Television, Charles Laughton, Criterion, Directors, DVD, Gene Wilder, Gore, Horror, Marlon Brando, Review, Roald Dahl. Bookmark the permalink.